Cup final, Panorama F.C. vs. Crusaders. This is how Olaf finally won that medal. 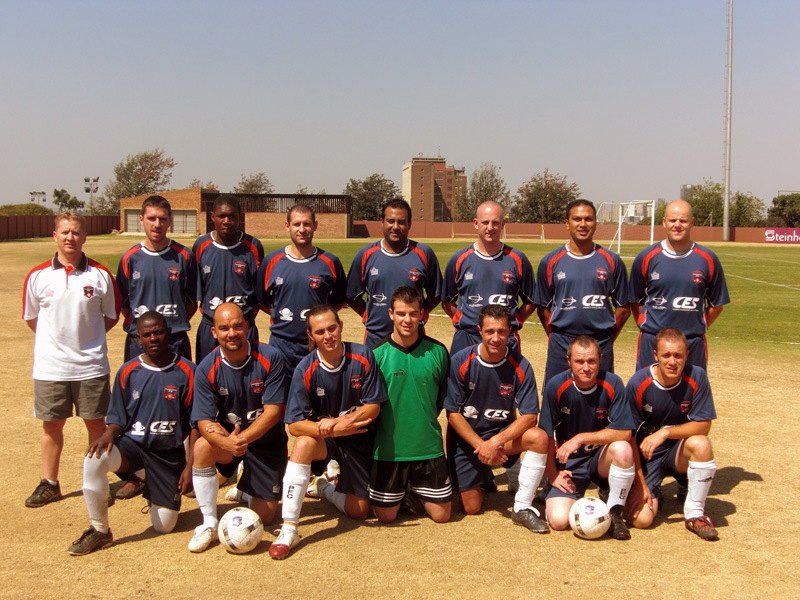 I remember, late in 2007, mentioning to Lindsey that without playing football I could have never considered "home" a country like South Africa. I'm not too sure back then she understood how important it was for me, but I bet that now she does. After all, she loves me and she watched the whole (very long) final! Leaving London after 6 years of football with Parsons Green F.C., to go and try to play in a country where the sport was only third in preferences, below rugby and cricket, was a tough decision. This is why I was so surprised to see that, compared to the lower London leagues, the organization of the teams and the league was so much better. The lack of spaces in London meant that you had to share your "home" ground with multiple teams, while here, in a club like Panorama, not too far from home, I could enjoy my home ground, my supporters and have evening trainings and showers with proper structures. It was like being back in Italy, where football is more important than anything else and each town, regardless of the size, has their own little stadium. My first season in South Africa has been already positive. 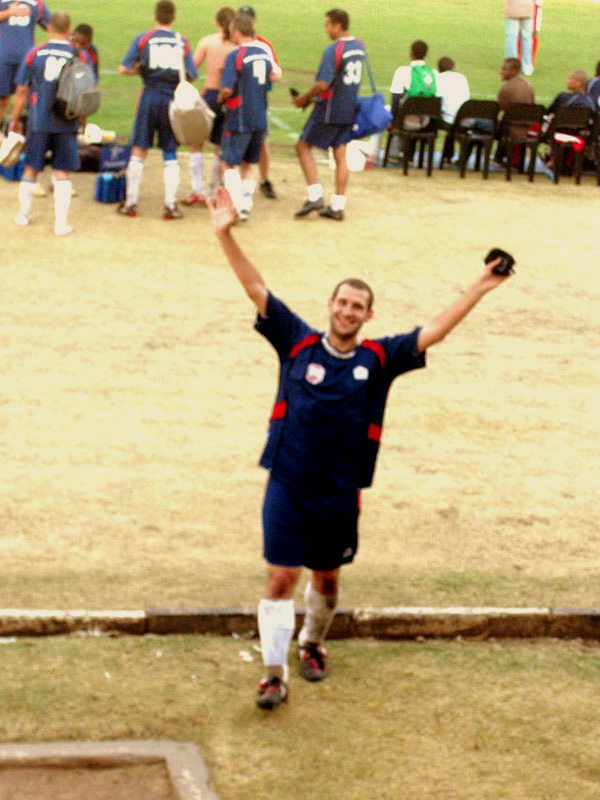 Yes, I missed some games because of my wedding, honeymoon and the July's travel to Europe, but I played every single match in my favorite position (central midfield, after years as left back in London, years that taught me how to use my left foot!) and even if the results in the league weren't too good (we finished third from the bottom), we somehow managed to play our best games in the league cup. The semifinal was probably my best game in years. I scored from 30 yards and I simply played like never before. 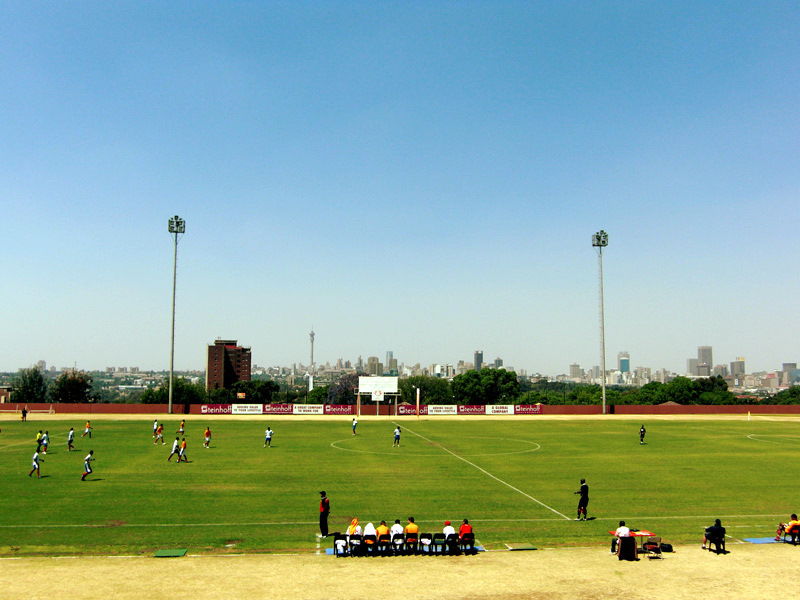 The whole season reached its conclusion here, on the University of Johannesburg AW Wilson stadium, on the top of the hill that overlooks Johannesburg. We were facing Crusaders, a team that already beat us twice in the league (2-4 and 1-3) and they were considered the favorites. We drove to the UJ campus and we got ready. Under a merciless sun (35 degrees! that's 95 Fahrenheit...) the game started, and we soon understood that we could actually win it. We played well, and we scored quite early (I tackled and grabbed the ball in the midfield, and two passes later Malcolm scored). The referee was distributing cards quite happily, and after a first half, up 1-0, the count was 5 yellow cards (+1 red) for them and 2 yellow cards for us. Unfortunately one of those cards was mine, and I ended up spending the rest of the game not being able to tackle the way I love to avoid a red card (and there goes 50% of my game). We lost concentration in the second half, and they scored. Then the game turned in a scrappy contest, until the last minute of the last extra time. A penalty was awarded to Crusaders. And they scored. But the linesman saw some of their players stepping inside the area before the kick and it was repeated. This time Rob saved it and it was penalty time. Nobody wanted to take them. After 2 hours of battle we were all dead. Only 5 of use, included me, decided that it was time to win. They scored the first, we scored it too. Then they missed and then it was my time. I could hear the supporters, already drunk, screaming my name or something. And I could hear Lindsey's voice, and imagine her family sitting beside her. But I didn't want to turn my head while walking alone to the area. I positioned the ball, took a short run, and scored, with the keeper choosing the wrong direction. It was the best penalty I've ever taken since 1996 (the last time I took one I think!). They missed the third, and we scored again. They missed it again (our keeper Rob was on fire) and it was time to celebrate. I remember the last time I celebrated. It was 2003 with Parsons Green, and we won the league. This time it was different. 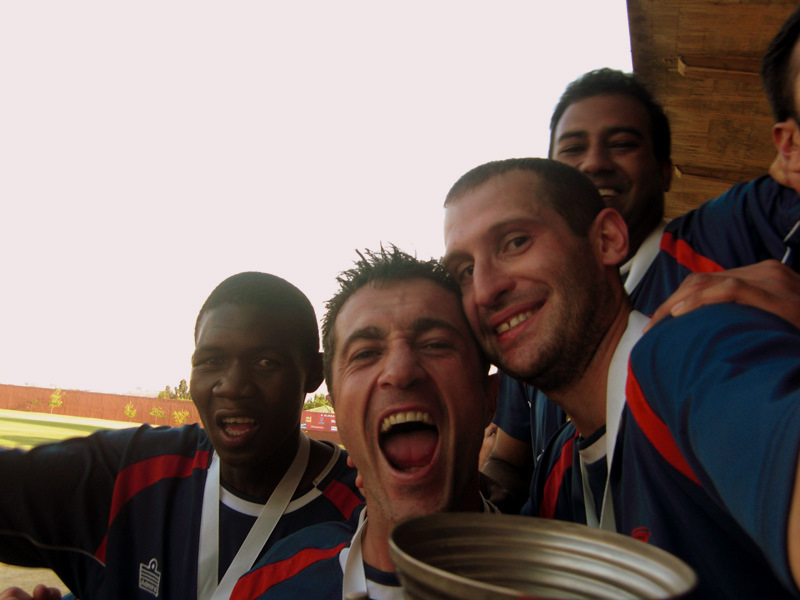 We won a final, and the feeling was so intense that a season of disappointments just became a great year. Plus, this time I won as a married man, and coming home to share a victory with your wife is really a great way to celebrate. Sure, we drank from the cup (filled with vodka and beers), we chanted, we jumped, and for 1 hour we were each other's best friends ever. For me, it was so special. 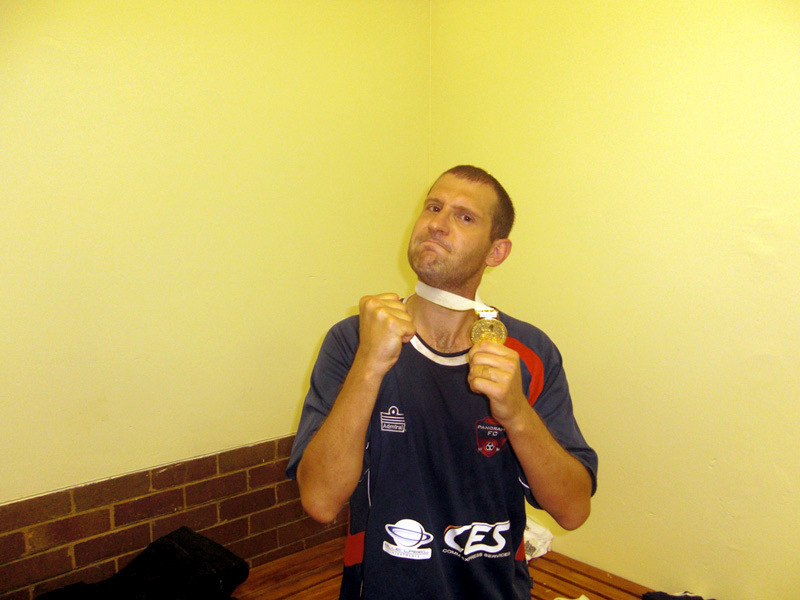 I played football in Italy, in England, in Poland but I had to move to South Africa to finally lift a cup. This is life. This is football. How can I not love it?